Educating and connecting our community. If you’re a big onion fan (there are dozens of us!) or just pay super close attention to what’s in your box each week, you might notice that your onions lately have looked a little extra normal. This is because they are. We value transparency and honesty about our sourcing above all else, so here’s the backstory on why we’re buying some non-imperfect onions for a few months. While onions are available in US supermarkets so consistently that most of us take them for granted, sourcing onions is actually a remarkably complicated relay race between dozens of growing regions across our country. Your onions could be coming from Utah, Nevada, Oregon, or California, depending on the time of year. Normally, the seasonal baton passes between regions occur smoothly without changing prices or availability. Sometimes one region finishes their harvest before the next is ready, which causes prices to spike and availability to plummet. While consumers in supermarkets don’t often feel these supply chain baton drops, buyers like us do. The late spring is often a hard time of year to buy onions anyway. The Oregon, Washington, and Idaho harvests wind down all at once while waiting on the desert regions like Southern California and Nevada to warm up. This year, bad weather meant that reinforcements never came. Unusually cold temperatures delayed the California harvest, while freak snowstorms in Nevada ground things to a wet and chilly halt further East. Mexican onion growers, normally the pressure release valve for the American market, couldn’t help since their winter was just as wet as ours, meaning that most of their crop is staying in Mexico. The result is that onions are so scarce now that supermarkets are buying the #2 grade “ugly” onions we normally buy and selling them to fill their needs. We know that hardy aromatic vegetables like onions and garlic are staples to have around the kitchen, so for the next few months, we will be buying a mix of our normal imperfect onions as well as some normal, perfect onions that you might find in the grocery store. We’ll clearly note these onions during your customization window, so if you’d rather only buy “ugly” items with a food waste story you can opt for some of our leeks or green onions instead. 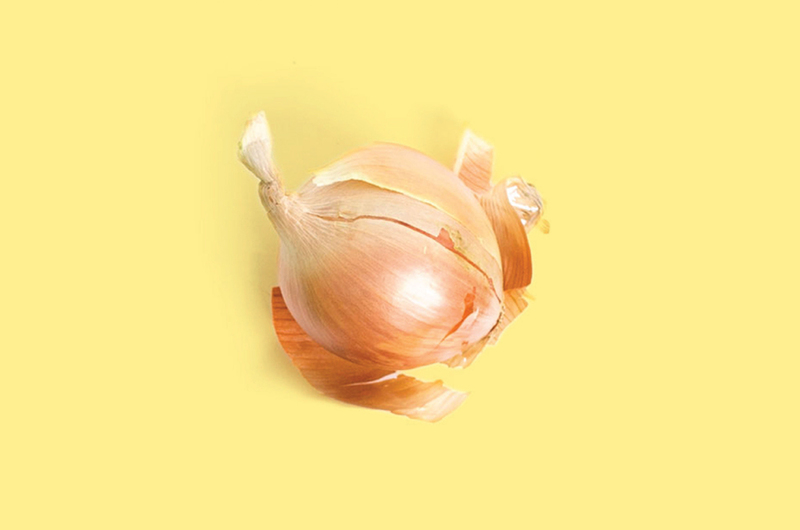 If you just want an onion to cook with, we can help with that too. We hope this decision helps keep your dinner plans on track and that this explanation helped paint an informative picture of the surprisingly fascinating economics of onions. There just might be a podcast episode buried in this story or at least a few great dinners. Imperfect Launches in the Twin Cities! Check your zip code to see if we deliver to your area!